Names on the main memorial list. Location: Kershaw, South Carolina, USA. Carolyn was shot dead by her son. Perpetrator: Robert Allen Hypes (Son). Disability: Mobility impairment; wheelchair user, after “a series of falls”. Bertha was shot dead by her husband in a murder-suicide. For some time, Yasuko had been asking her son to buy her a powered wheelchair; eventually she bought one for herself. Yasuko’s son, angry she had bought a wheelchair he said he couldn’t afford, suffocated her to death. Perpetrator: Norio Uechi; arrested for murder. Kazuko’s sister killed her with a knife, then committed suicide. Carmina was shot by her father in a murder-suicide. He also killed her mother, Elena. 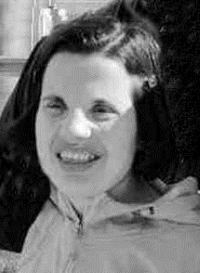 Carmina worked at Goodwill and was on a Special Olympics swim team. She enjoyed cycling and went to camp every summer. Location: Castel del Piano, Italy. Antonio was beaten to death, dying of head trauma after what looked like a robbery gone wrong. However, two days later, Antonio’s nephew was arrested. They had lived together in the past, and now Antonio’s nephew was demanding his pension money. When he would not give him the money, Antonio’s nephew killed him. 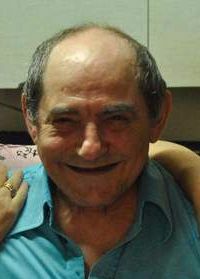 Antonio Tucci was a retired baker. Perpetrator: Claudio Orlando (Nephew), arrested, accused of murder. Payal and her 8-year-old sister were tortured by their stepmother when their father was away at work. Payal’s stepmother tried to pass off her death as a natural one, but police saw the marks of abuse on her body. Payal may have died when she was strangled, or when she had her head slammed into a wall. Perpetrator: Pratibha Sawant (Stepmother); charged with murder. Died: September or October 2015; body found November 26, 2015. Location: Kansas City, Kansas, USA. Disability: “Special needs”; PTSD and reactive attachment disorder. 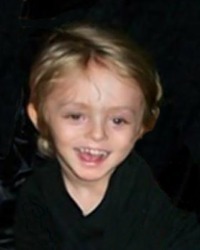 Adrian was confined to a bedroom, where he was beaten by his father and starved by his parents. When he died of starvation after having been confined to a shower for the last month of his life, his father fed his body to his pigs. Perpetrator: Heather Jones (Stepmother), pleaded guilty to first-degree murder and child abuse, sentenced to 25 years to life; Michael Jones (Father), pleaded guilty to child abuse, aggravated battery and aggravated assault, sentenced to 25 years to life. Helious was born on Christmas Eve and named for the Greek god of the sun. Child protective services had opened a case on Helious. Brought to the hospital, he was thin and having trouble breathing. They were investigating his mother for neglect because Helios had in the past been seen underweight and dirty. DCS held a meeting and decided that they would file a petition for in-home dependency so that Helious could be monitored closely. Afraid that she would lose custody for good, his mother strangled him with a length of tubing and then shot herself. Perpetrator: Lola “Tammy” T. Griffith (Mother). 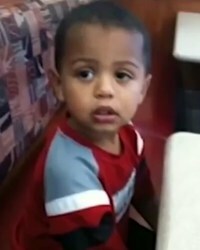 Dustin was shot by his mother in a murder-suicide.